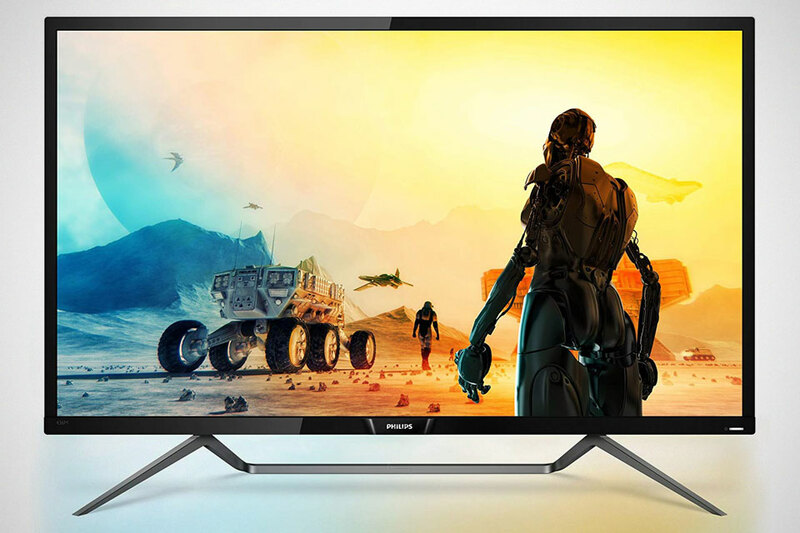 Philips’ New 43-inch 4K LED Monitor: Is It Still A Computer Monitor? We hardly touched on computer monitor these days because, computer monitors are just computer monitors. There are not a lot to talk about unless it is a little on the insane side, like this Philips Momentum 43-inch 4K LED Monitor (436M6VBPAB). Yes. This thing is monstrous. 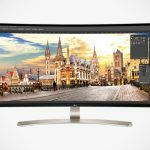 It makes you wonder, is 43-inch still a computer monitor or a TV for a small living room? Anyways, here it is, the monstrosity from the Dutch electronics maker. 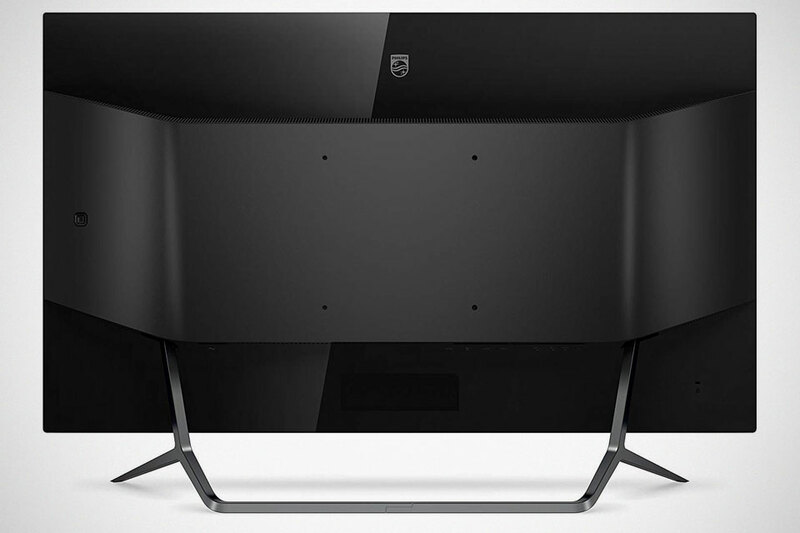 This monster monitor’s size is not only reason that made it worthy of a mention here, but it also the first monitor to received VESA DisplayHDR 1000 certification, along with features like Adaptive Sync, 4ms refresh rate and a host of I/Os, including HDMI 2.0, Display Port 1.2, mini Display Port 1.2, and two USB-C ports. 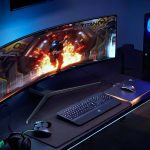 DisplayHDR 1000 is, if you don’t already know, is kind of a big deal because, it allows the monitor to maintain 1,000 nits of brightness on demand. And it has a pretty mind-blowing contrast ratio too, at a cool 50,000,000:1. 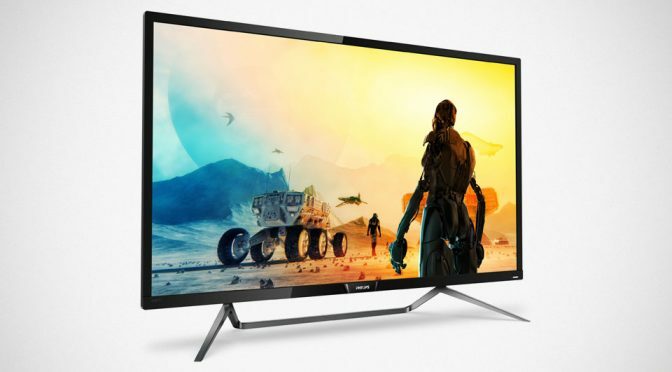 As for the rest of the highlights, it is, well, a 4K monitor and therefore, it has a resolution 3,840 x 2,160 pixels and it is also HDR-friendly and boasts Quantum Dot technology for richer colors. And then there is also a thing call Ambiglow lighting, which is a Philips thing, plus it has Ultra Wide Color Range of 1.07 billion, touts low input lag and low Blue mode, and the requisite built-in speakers – which are not just any speaker; they are rated at 7 watts and with DTS sound. Wait, are we talking about a computer monitor and not a TV? I think it is. Man, how far do we need to sit away from this thing? You can find Philips Momentum 43-inch 4K LED Monitor on Amazon for $999.99, which is surprisingly affordable considering what it has to offer and the size. To think that I paid some $450 for a 17-inch Sony Trinitron CRT back in 2000. Yeah. I totally understand the value of dollars wasn’t quite the same. Taking inflation and all that jazz into considerations, that still worked out to be around $650 in 2018, which kind of make Philips Momentum 43-inch 4K LED Monitor somewhat of a deal.